Two populations of Greylag Goose occur in Britain. A migratory population breeds in Iceland and winters predominantly in northern Scotland, with smaller numbers in eastern Scotland, northern England, Ireland, southwest Norway and the Faeroe Islands. A largely sedentary population also exists: the British Greylag Goose which occurs in much of Britain particularly on the Hebrides, the north and west Scottish mainland, Orkney and throughout large parts of south and east England. 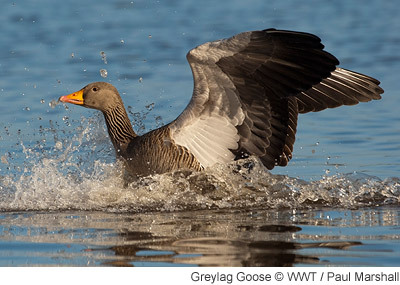 The British Greylag Goose has expanded its range greatly in recent years, and now overlaps with migratory Icelandic birds during the winter, particularly in Orkney.